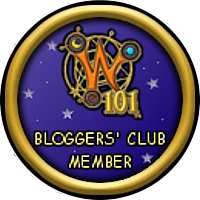 The dragonspyre pirate: p101, monqusitian who is right and who is wrong? So the monquistan says if I remember correctly (forgive me if I'm wrong) says bananas don't have seeds, therefore the banana came first, a new group says they do meaning the tree came first. A simple matter of which came first the chicken or the egg (the egg came first btw) so I'm here today to solve that little matter. If you remember we bring a "banana" with seeds to a hearing and it turns out it wasn't a banana! But here is a fun fact, the bananas monquistan's eat are the same we eat irl. Funny thing about that is we eat a genetically processed banana. Many bananas in the wild contain seeds, so much its hard to eat them. The common yellow banana we and the monquistan's eat is a mutant banana. So the real answer is obvious, the tree. Lets look at the chicken and the egg for a bit to further understand. Natural selection dictates that the strongest animal with the strongest gene survives, and this happens through evolution. This means as dinosaurs evolved they turned into birds and the T-Rex turned into a chicken. Before the chicken came there had to be eggs which hatched the first generation of them. This is the same with plants. If there is to be a plant there has to be the seeds which make the first plant. Then those seeds spread and make more of that plant and so on. Now that you know that, you can tell whoever it was that the tree came first. Also I got some valuable info here. So be sure to check that out. As always cya in the spiral!